The Medford Knife & Tool Eris is a small knife in stature but a giant when it come to performance. 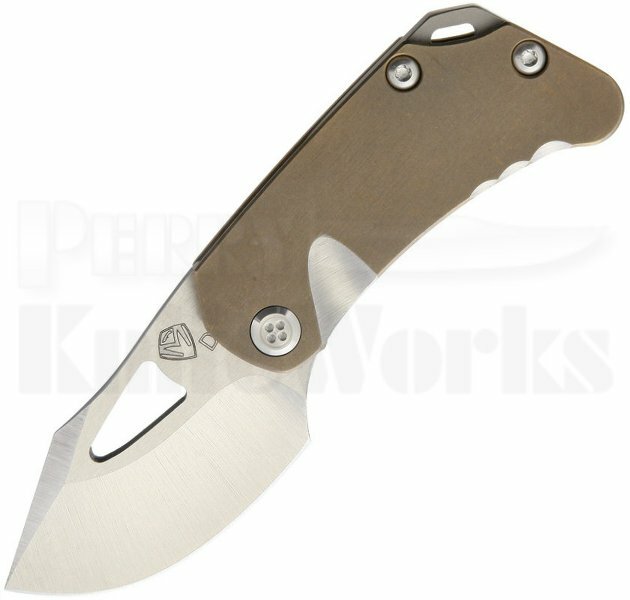 This model Eris has a tumbled D2 tool steel clip point blade with a thumb hole for easy one handed operation. Its frame lock handle is made from titanium with a bronzed ano finish and sports a stainless steel back-spacer with a built in lanyard hole. Comes outfitted with a tip-up titanium pocket clip for secure EDC.